I'm very pleased to be featured on Midlife Boulevard today. They're sharing my story about my Daith piercing - it's still the best decision I've ever made in regard to my headaches. I feel like I've tried everything else that mainstream medicine had to offer and found relief with this completely left of centre treatment. Feel free to ask any questions in the comments - I'd be happy to answer them. Disclaimer: This post is not sponsored. I am not a medical professional nor am I providing medical guidance. This post should not be taken as specific health advice. It’s a post that relates only to my own health. If you have similar issues, I'd advise you to speak to your own Doctor or health professional. 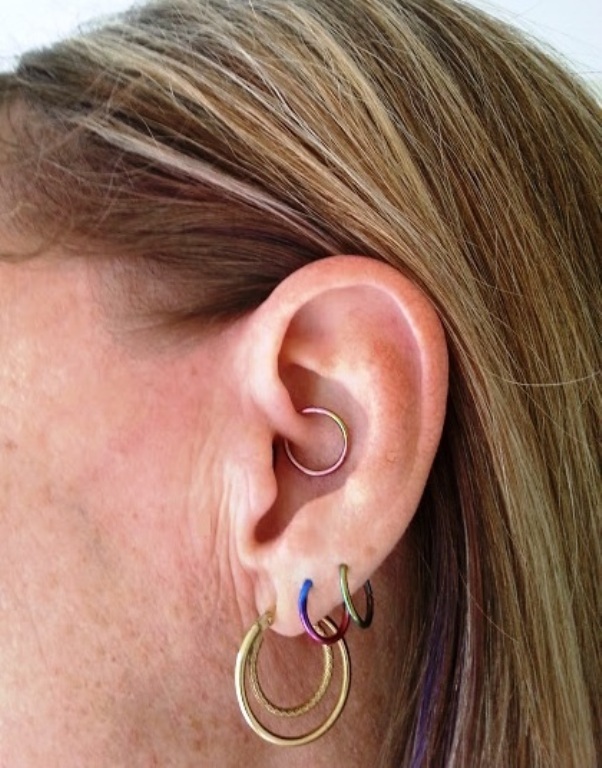 Wow, I had never heard of Daith piercing before it use for migraine. Interesting, glad that you found comfort and its working for you. I got no relief from mine, but I think it's a cute piercing!